The state of Virginia is attempting to wrestle the title, Capital of Driverless Cars, from California. Governor Terry McAuliffe has promised to spend the rest of his term making Virginia the capital of automated vehicles. The tests will emphasize speed harmonization, a concept that provides a smooth flow of the traffic stream, reducing bottlenecks while increasing reliability. Citing the more than 280 wineries, within the state, McAuliffe asserted that Virginia is already closing in on California regarding the crucial industry of winemaking. His focus is now on grabbing the world’s attention with the development of automated cars in Virginia. Michigan, Pennsylvania, Texas, Massachusetts and Arizona are also vying for the title. 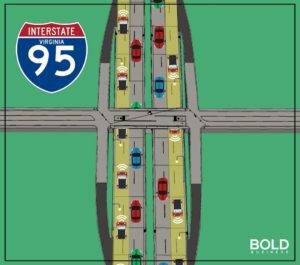 An agreement among four agencies involved in the supervision and operation of Virginia’s Interstate 95 has paved the way to begin testing smart cars over a three-year period, which is still subject to an extension. This agreement allows for testing to be conducted when the express lanes are closed to the public. An exact schedule is being prepared by the Federal Highway Administration. Later on, testing will be conducted under light traffic conditions. As California holds the distinction for having the most comprehensive regulations on the subject, Virginia makes their pitch anchored on the lack of legislation and rules pertaining to self-driving vehicles. Virginia Transportation Secretary, Aubrey Layne, has stated that the absence of rules pertaining to autonomous vehicles is intentional on their part. Express lanes in Virginia will become the testing grounds of smart cars which are believed to be the future of transportation. The emerging technology will be tested on the lanes of Interstates 95 and 495. 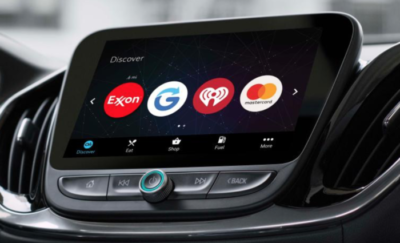 The smart vehicles will communicate wirelessly with one another as well as with the road’s infrastructure. Virginia’s express lanes are deemed ideal for testing purposes because of their separation from the primary lanes. Virginia’s Assistant Secretary of Transportation, Ronique Day, hopes there will be no significant impact on the regular flow of traffic during the testing process. He believes the tests will potentially show how automated technology, as well as the proposed connected vehicle technology, can improve the state’s transportation system. They also hope the testing of smart cars on the interstate will start a new era for the department. The three-year tests aim to significantly improve traffic flow and safety. Testing will include the Cooperative Adaptive Cruise Control, which involves a group of vehicles forming a platoon (a train of cars that travel closely together). It will also include tractor-trailer platoons traveling in groups of three. The tests will emphasize speed harmonization, a concept that provides a smooth flow of the traffic stream, reducing bottlenecks while increasing reliability. Backers also hope the tests will reveal that driverless cars reduce the environmental impact of vehicles on the road and improve road safety, comfort and convenience. 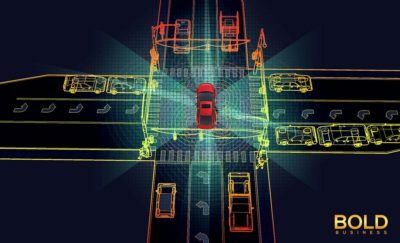 The tests also aim to determine the viability of automated and connected vehicle technologies when it comes to improving lane changes, and merging off and on to roadways. These issues are something American motorists are very familiar with. The integration of emerging transportation technologies into the infrastructure of US transportation began more than ten years ago, but has accelerating in recent years. The US Department of Transportation started a pilot program for automated and connected vehicle technology in 2015. The aforementioned pilot programs are currently being undertaken in New York City, Tampa, Wyoming, and Michigan. As different states employ diverse approaches concerning the development of emerging technologies, the common goal remains to utilize these bold developments to innovate transportation. However, progressing the transportation industry will only be realized after a thorough series of testing is done within a real world environment. India: The Hyperloop Pioneer of Asia?